The film MISS REPRESENTATION exposes how American youth are being sold the concept that women and girls’ value lies in their youth, beauty and sexuality. Explores the under-representation of women in positions of power and influence in America, and challenges the media's limited portrayal of what it means to be a powerful woman. It’s time to break that cycle of mistruths. 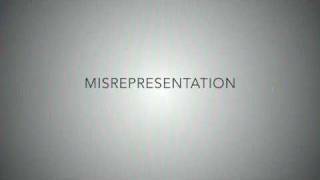 Tällä hetkellä voit katsoa elokuvan "Miss Representation" suoratoistona palvelussa Netflix.